The Hollywood Volunteer Rescue Squad invites you to a hauntingly good time at our annual haunted trail. 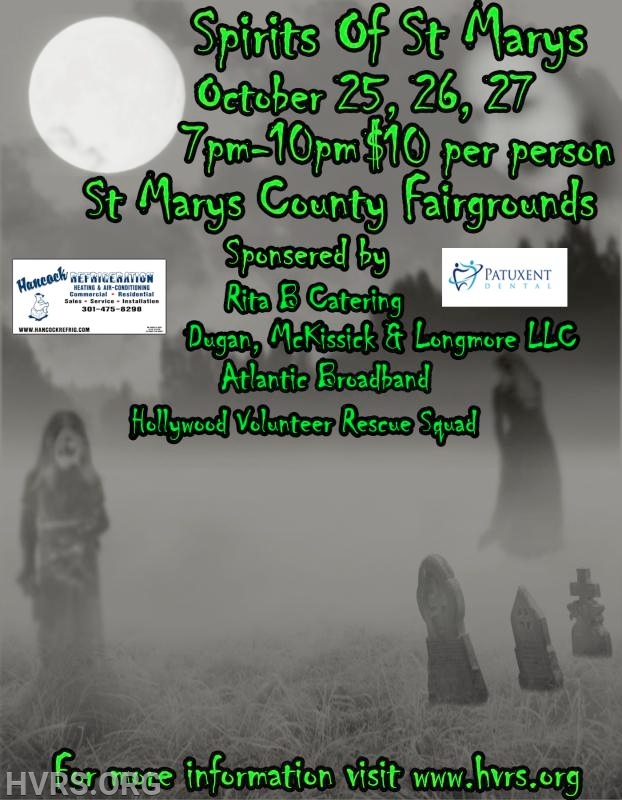 Come experience the Spirits of St Marys for a scare you won't forget. October 25, 26 and 27th 2018 from 7pm-10pm. Cost is $10 per person. MEDICAL CONDITION. ANYONE UNDER THE AGE OF 14 MUST BE ACCOMPANIED BY AN ADULT!